320 pages, paperback, Quality, 2. edition 2010. British Champion Jacob Aagaard explains the rules of attack (the exploitation of a dynamic advantage) in an accessible and entertaining style. This groundbreaking work is well balanced between easily understandable examples, exercises and deep analysis. Five years in the making, this book will surely not disappoint. Volume I deals with bringing all the pieces into the action, momentum, colour schemes, strongest and weakest points, evolution/revolution. This is the first thorough examination of the nature of dynamics in chess, and the principles explained in this book are relevant in every chess game played. In lively no-nonsense language, Aagaard explains how the best players in the world attack. Confession: I used to be a serial writer. From 2000 to 2004 I wrote more than twenty books; some of them with other people, some of them alone, some of them with my name on the cover, some of them not. I was doing so without a true goal or direction, simply pleasing people, or helping the publishers to fill a hole in their schedule. I think these books were not too bad in general and some of them even a good deal above average. One of them even picked up an award, while another was nominated for one. But deep down I knew that my books were not as good as they could be. I felt that the work I was doing was pleasing a lot of people, but not me. It was somewhere during this period, in 2001 to be a bit more exact, that the idea of this book came into being. I was very interested in generalisations in chess (despite this having been unfashionable for a long time) not because I believe that there are any shortcuts to playing good chess, but because I believe that there are recurring strategic themes in chess, and to know them will help you to develop your chess intuition. I had written a few chapters in 2003, when I decided that I wanted to set up a chess publishing house, and in this way move to a different place in the chain of people creating chess books. I had clone so mainly because I had produced 35% of the Everyman Catalogue that year, but felt that I had very little control over the final product. With Everyman still going strong six years later, and Quality Chess not doing too badly either, it seems that it was mainly a matter of taste. 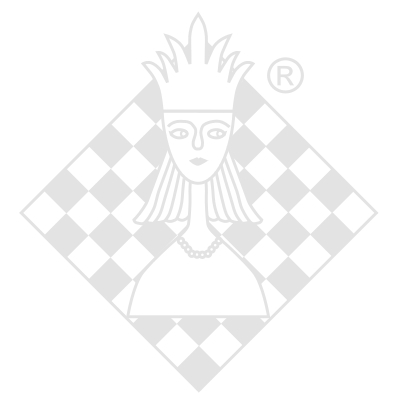 In 2004 I finished all my contracts with Everyman and co-founded Quality Chess. At first I was working as an editor and trying to make a living without writing for other companies, while Quality Chess struggled through the always tricky first years of business. I wanted to finish this book, but it was difficult to find the time and then I got distracted, and wrote Practical Chess Defence, which was always meant to be a small quick project, along the lines of what I had done with Everyman. However, it had become clear that once released, it was not possible to cram the beast back into the cage. That book was big, difficult and almost anti-commercial. I still love it dearly. It was only in 2008 that I finally finished this book. I have to admit that over time I became very emotionally attached to this project, because of what it meant. I had left Everyman and founded Quality Chess because I wanted full control over the look of this book, and because I wanted to publish Questions of Modern Chess Theory and The Berlin Wall. The latter two were published in the autumn of 2008 to great critical acclaim, while the Attacking Manual 1 was a bit of a disappointment - not least to the author. The first edition of this book was written from the heart. It had a lot of interesting ideas, I think. However, the typesetting and the proofreading had gone all wrong and this ruined the experience many readers, as well as for the author. 1 am not sure that this book can justify a second edition, nor if what I feel are valuable insights into chess strategy and dynamics are really so, but because of its history, I was able to talk my editor John Shaw into having it printed. One of the questions about this book is if it is truly original. To some extent yes, and to some extent, no. Obviously there has been a lot written about dynamics in chess in general. However. the books I have read have all mentioned dynamics as a self-explanatory phenomenon, or even confused tactics with dynamics. I have yet to come across a coherent theory of dynamics, which is why I decided to bring some often-described elements together with some observations of my own. It is very difficult for me to evaluate to what extent this has been a success or not, as no one has challenged this theory. I hope the reader will make up his own mind, but most of all, I hope he will find this book helpful in understanding the great mystery which is chess strategy. Daneben gibt es auch ein Wiedersehen mit solch bekannten Angriffspartien wie zum Beispiel Kasparov-Gelfand, Linares 1993, Euwe-Keres, Niederlande 1940 oder auch Anand-Adams, San Luis 2005. Bemerkenswerterweise sind im Buch auch Partiebeispiele aus dem GM-Turnier von Wijk aan Zee 2008 vertreten, das spricht für höchste Aktualität. Aagaard schreibt wie gewohnt locker und witzig (Once you pop you just can´t Stopp! ), zugleich aber immer voll auf der Höhe des Geschehens. Seine Erläuterungen beschränken sich dabei nicht auf Verallgemeinerungen sondern versuchen, schwierige Themen so zu verpacken, dass es auch für den "Ottonormalschachspieler" verständlich und nachvollziehbar bleibt. Im Anhang gibt es dann noch 50 Stellungen zum Selbststudium, wobei hier der allgemeine Schwierigkeitsgrad doch recht heftig ist. 1) Mister Aagaard, your new book \ " Attacking manual 1 \ " treats the attack in a chess game, was this subject neglected in the literature up to now? There are many books on the attack already, most famously one by Vukovic, but also by Tartakower, Dvoretsky, Tal, Lane, Crouch, Christensen and others. The problem with all of these books is that they only deal with the situation where you already have an attack. Also, they tend to show examples of attacking chess without having a larger theory of dynamic play. Since the end of the 19th century we have had theories of positional play, but no one have ever sat down and collected the various ideas existing about dynamic chess. This is what I have tried to do in this book, it is up to the readers and reviewers to evaluate if I have done a good job. 2) What do you mean: Who was the best Attacking player of all times and why? It would be strange not to say Garry Kasparov. And the reason is obvious, he has mated the best defenders! 3) Personally, I think the book is very well, but I (my ELO is only 2163) think the tasks are partially very difficult. For which strength would you recommend this book? I do not believe that good books that explain things well have a fixed audience. If you found the exercises difficult you did not treat them in the way I suggested in the book! I suggest that you think for 10 minutes and compare your thinking to the "possible solutions" in order to learn about your thinking. If you put your ego on the line when working alone with a book, you will collect more defeats in this life than I find pleasant. I try to avoid putting too much pressure on myself when I am training, after all, I am training. I think you can read and understand this book from the level of 1200 to 2700 and take something from it, though the ability to do it in practice will differ. 4) Our readers may expect what in part 2? Where part one is dealing with the big concepts of attackin play, part II will deal with the techniques already dealt with in the books mentioned earlier. The readers can look forward to an update on these techniques, some new ones and most importantly, games and analysis they have not seen before. I have an aversion against this tradition of laziness in chess literature, where games from Zurich 1953 are used again and again, rather than including some of the great games that are played almost daily into the new books written. 5) Quality Chess has published books in top quality, could this level stability in future? This is not entirely true, unfortunately. Out of our 26 books there are two that I would wish we had not done. I hope that we will have better taste in the future and avoid such mistakes, and then I think that we have not published our best titles yet. I really believe that. We will publish both ambitious books like San Luis 2005 and Learn from the Legends (the latter is now out in German), opening books that do not suggest that you play variations that lose by force - as with some of our competitors - and instructional books of high quality for players of all levels. Fazit: Angreifen wie die Großen? Mit diesem Buch kommen Sie diesem Ziel einen großen Schritt näher! Welcher Typ Schachspieler sind Sie? Welchen Stil pflegen Sie? Sind Sie mehr der positionelle Spieler oder aber ein abgebrühter Taktiker, der es liebt die gegnerische Lebenswahrscheinlichkeit zu verkürzen? Ich habe mittlerweile sehr viele Bücher gelesen und viele, nahezu alle davon, handeln davon wie man Angriffe gegen einen unrochierten König weiterführt (Schlüsselmomente) oder aber wie man den Schutzwall des Monarchen aufreißt, ihn ans Tageslicht zerrt und schließlich erlegt. Während all das bereits auf Clubniveau bekannt ist und mitunter sehr gut behandelt wird, stellt sich jedoch die Frage, was denn die Faktoren für einen erfolgreichen Angriff sind? Wie bereitet man einen Angriff vor? GM Jacob Aagard stellt sich in seinem zweibändigen Werk "Angriffslektionen“ der Aufgabe, die Vorrausetzungen und Gesetzmäßigkeiten, die einem Angriff inne wohnen zu durchleuchten, diese klar zu formulieren und letzten Endes stichhaltig und didaktisch korrekt auf Papier zu bringen. Jacob Aagard, seines Zeichens einer der Köpfe von Quality Chess, ist als Autor weltbekannt. Mit seiner Reihe "Excell at ... “ hat er bahnbrechende Ideen aufgezeigt, die viele Spieler seit dem für ihre eigene Entwicklung genutzt haben. Wenn auf einem Buch Jacob Aagard draufsteht, können Sie sicher sein, dass es sich um Qualitätsarbeit handelt! Es fällt mir schwer die beiden Werke getrennt zu behandeln, da sie doch ohne einander nicht wirklich auskommen können. Während man im ersten Teil in gewißerweise um wichtige Ideen geht, den dynamischen Faktor ausnutzen (verstehen Sie mich nicht falsch – der gesamte Angriffsakt stellt in der Regel einen dynamischen Vorgang dar), wie z.B. "alle Freunde zur Partie ein[zuladen]“ (Kapitel 1), immer auf dem Gas zu bleiben, dort zuzuschlagen wo es wehtut, geht es im zweiten Buch viel mehr um typische Techniken, wie Mattangriffe, typisches Figurenspiel im Angriff, die Bauernstruktur, Königssicherheit etc. Man kann nicht separieren, da eines ohne das andere nicht existieren kann. Daher möchte ich Ihnen diese beiden Bücher, die wohl das Beste diesbezüglich auf dem Markt darstellen, anhand von jeweils einem Partieausschnitt aus dem Buch schmackhaft machen! 1.e4 c5 2.Nf3 e6 3.d4 cxd4 4.Nxd4 Nf6 5.Nc3 d6 6.g4!? Dieses starke Bauernopfer ist auch die erste Wahl von Deep Fritz 10 [LW: Man bedenke, wie alt dieses Buch ist]. Wie sehr sich Computerprogramme entwickelt haben. Die Idee des Zuges besteht darin, Schwarz mit einer Vielzahl von Zwangsentscheidungen zu konfrontieren. Zunächst einmal muss er das Oper annehmen, denn er kann nicht zulassen, dass der Bauer nach h6 vorrückt, wo er ein ständiger Pfahl in seinem Fleische wäre. Weiß kümmert sich nicht um den f-Bauern. Für ihn steht er einfach nur im Weg. Diese Einstellung ist typisch für dynamisch orientiertes Spiel. Da der weiße Vorteil auf zeitlichen Faktoren beruht, kümmert er sich nur wenig um Material. Doch für Schwarz verhält es sich meist genau umgekehrt. Er muss sich Material sichern, damit er einen Gegenwert für seine mangelnde Entwicklung hat. Bent Larsen hat fast alles genommen, was ihm angeboten wurde, damit er genug Material hat, um es seinem Kontrahenten zurückzugebe, wenn der Angriff zu gefährlich wurde. Erneut, und das kann ich nicht oft genug betonen, besteht die Faszination darin, dass ein Spieler statische und der andere dynamische Vorteile besitzt, nd dass es so schwer ist, diese Faktoren korrekt einzuschätzen. Die elementarste Voraussetzung für einen erfolgreichen Angriff ist vermutlich eine Überlegenheit am Tatort. Wenn die Polizei nicht in größerer Anzahl erscheint als die Verbrecher, wird es kaum eine Festnahme geben. Die Holländer reden gerne davon, dass es zwanzig Punkte braucht, um den gegnerischen König mattzusetzen. Das ist natürlich sehr vereinfach ausgedrückt, aber keineswegs dumm. Bein Angriff streben wir die Überlegenheit auf, wenn wir es extrem betrachten, nur einem Feld an; demjenigen, auf dem wir mattsetzen wollen. Meistens müssen wir mehr Felder unter Kontrolle nehmen, um so weit zu kommen und in den meisten Fällen bezieht das auch noch einen größeren Teil des Bretts ein. Wenn ich über das Angriffsverhältnis spreche, meine ich damit den Unterscheid zwischen der Anzahl der am Angriff beteiligten Figuren und der Anzahl der verteidigenden Figuren. Diese simple Idee steht in engem Zusammenhang mit der elementaren Regel des Angriffs, wie sie in Band 1 gegeben wurde: "Bringen Sie immer so viele Figuren wie möglich in den Angriff“. 1.e4 e5 2.Nf3 Nf6 3.d4 Nxe4 4.Bd3 Nc6 5.dxe5 d5 6.Nc3 Bb4 7.0-0! Dieses Bauernopfer wirkt sehr gefährlich. Das schwarze Problem ist, dass er es nicht annehmen kann, ohne gefährlich in der Entwicklung zurückzufallen; und wenn er es nicht annimmt, gerät sein Zentrum unter starken Druck. Vermutlich eine zweifelhafte Entscheidung, aber ansonsten spielt Weiß 9.c4 und erfreut sich des Läuferpaares und leichten Entwicklungsvorsprungs sowie realen Drucks auf das schwarze Zentrum. Das war natürlich die Idee. Weiß hat nun alle seine Figuren entwickelt, während die einzig noch verbliebene entwickelte Figur von Schwarz der Springer auf a2 ist, der auf seltsame Weise ein Feld besetzt, das so ziemlich genauso weit vom Zentrum entfernt ist wie jenes, auf dem seine Reise begann. Wenn in den nächsten paar Zügen nichts passiert, wäre Weiß nicht in der Lage, seine materielle Investition zu rechtfertigen. Aber er kann etwas passieren lassen, und das macht den Unterschied! Diese Angriffsidee (Linienöffnung gegen den schwarzen König) wäre weit weniger effektiv, hätte Schwarz noch seinen starken Springer auf c3, der den mächtigen Läufer auf e4 attackieren würde. 14 ... fxe6 15.Ne5 Qb5 16.f4! Öffnet der weißen Dame das Tor nach h4. Ich hoffe, dass ihnen diese beiden Beispiele aus den beiden Werken genauso viel Freude bereitet haben wie mir! Das tolle ist, das gesamte Buch steckt voll von solchen grandiosen Partien, in denen man die einzelnen Elemente eines Angriffs entdecken kann! Dieses zweibändige Meisterwerk sucht seines Gleichen! Es dürfte das wohl umfassendste Werk zum Thema Angriff sein, dass zurzeit auf dem Markt vorliegt. Und ich sehe keinen Grund und auch keine reale Chance, dass diese Stellung in absehbarer Zukunft angegriffen werden könnte! Wertung: (6/6) ****** Höchste Empfehlung!